Oily skin can be a total pain to deal with. All of the blotting to reduce the shine as well as re-doing melted or caked up makeup can leave you feeling highly frustrated and wishing for a quick and easy fix. The bad news is that I am not aware of a quick and easy fix (if you know one, please let me know!). The good news though is that over the years I have found some fantastic products that I find really help to curb the levels of oil on the skin, making it far more manageable. In an effort to help anyone else who struggles with oily skin, I have created a list of both skincare and makeup items that I personally love and use to help keep things under control. Hopefully they will work for you as well as they do for me. So if you're at the end of your tether with your oily skin, keep reading to find out my best beauty products for oily skin! One of my personal favourite mottos is to perfect your base and the rest will follow. Making sure that you are using the right kind of skincare products on your face will help drastically in your mission to reduce the appearance of oil on your skin. This face wash by Hifas da Terra utilises the healing skincare powers of mushrooms that you may have not been aware of. I also love it because I find that it has a decent lasting mattifying effect on the skin which is a great way to kick start your oil-reducing routine. 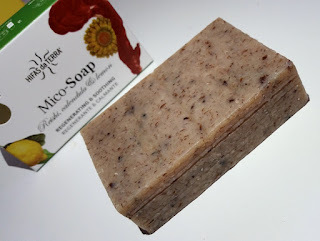 You can purchase the Hifas da Terra Mico-Soap from Hifas da Terra. I can't choose an individual item from the Neal's Yard Palmarosa range to feature on this list, so I'm going to include them as one. Everything that I have tried from this range so far has been fantastic at managing oil on the skin and keeping shine at bay throughout the day. You can also give the range a trial run with the fantastic value Skincare Discovery Kit that includes a selection of miniature items from the range for you to test before committing to the full-size collection. Amazing! 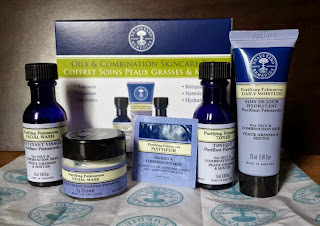 You can purchase the Neal's Yard Remedies Purifying Palmarosa range (including the Skincare Discovery Kit) from Neal's Yard Remedies. 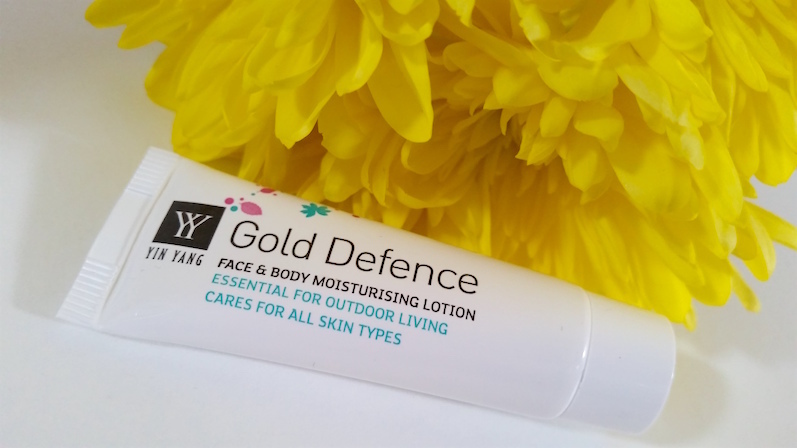 Whilst the primary use for the Yin Yang Gold Defence Lotion is probably as a protectant from extreme weather conditions (it is loved by those who enjoy the outdoors), it is also a great moisturiser for oily skin. It is one of those items that balances out the skin rather than creating a matte finish, so if you're not after a full on matte look, this could be worth a try for you. You can purchase the Yin Yang Gold Defence Lotion from Holland & Barrett. 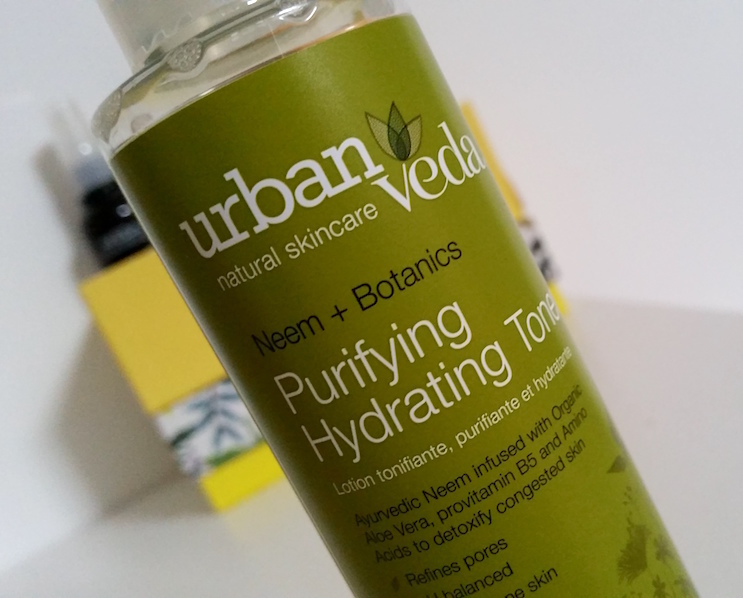 The Urban Veda Purifying Hydrating Toner is full of beneficial oils and botanicals to help balance out the skin whilst keeping it smooth, comfortable and hydrated. It also minimises the appearance of pores, making the skin look firmer and more refined. You can purchase the Urban Veda Purifying Hydrating Toner from Love Lula. The InstaNatural Dead Sea Mud Mask is one of those face masks that you have to learn to use sparingly as it is quite a powerful mask. If you use this too often then you risk drying out your skin, but as a once a week treatment this mask does a great job at helping to keep oil under control over time. 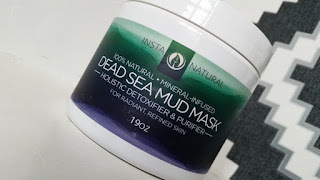 You can purchase the InstaNatural Dead Sea Mud Mask from Amazon. You can purchase the Benefit POREfessional Primer from Feel Unique. 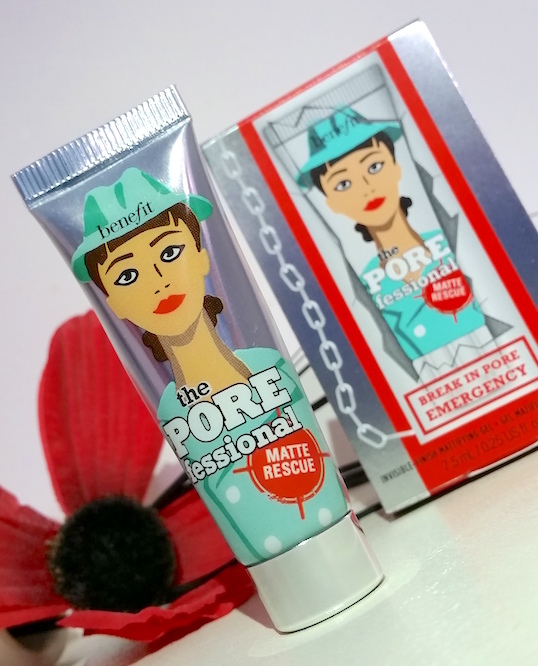 A newer release to the POREfessional range, Matte Rescue is the perfect companion to the POREfessional Primer. Honestly, using these two together really boosts the benefits of each individual product. They are a total dream team that aren't a dream, they're real and they work. You need to try them together! You can purchase the Benefit POREfessional Matte Rescue balm from Feel Unique. Just like the POREfessional Primer, you may have heard about this foundation before. This is hands down the best foundation I've used for oily skin, but only if used correctly. Back in the days when I was still learning about the best ways to apply makeup and get it to last, I tried this foundation and I wasn't completely blown away. I used it without a primer and I found my face still melting and caking throughout the day and I felt that it was quite an expensive flop. However, using this with a good primer and even a setting spray (see below), this foundation can be your dream cover up. It has high coverage that keeps the skin looking matte for hours on end. As an extra on this point, if you don't want to splash out on Estée Lauder's Double Wear, you can always try Revlon's ColorStay Foundation as an alternative, more affordable option. You can purchase the Estée Lauder Double Wear Foundation from Feel Unique. 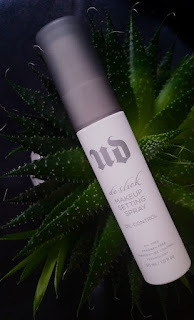 The Urban Decay De-Slick Makeup Setting Spray is the product that I reviewed most recently on this blog and that actually inspired me to write this post. This spray is hands down one of best beauty investments you can make if you have oily skin (and even if you don't, but Urban Decay also have other Makeup Setting Spray's available for other benefits). As well has setting your makeup into place for the day, this spray helps to control your temperature and prevent oil and sweat from appearing and melting your makeup away. You can even use it without makeup to keep shine at bay all day. It is truly a wonder product! You can purchase the Urban Decay De-Slick Makeup Setting Spray from Feel Unique. And there we have it! These are my personal favourite beauty picks for helping to combat oily skin. You may find that some work and some don't, but as with blemish clearing products it can become a bit more like trial and error as one size doesn't always fit all. However, I hope that this list helps you in some way to overcoming the annoyance that is dealing with oily skin, and just know that I understand how irritating it can be. Please feel free to share your tips and favourite products in the comments below to stretch the list of top products even further!